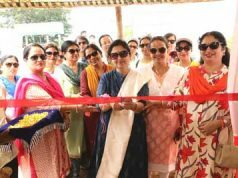 Bhubaneswar: Returning to one of India’s most culturally-rich states, the fourth edition of the Tata Steel Bhubaneswar Literary Meet (TSBLM) was inaugurated here today to a packed audience. 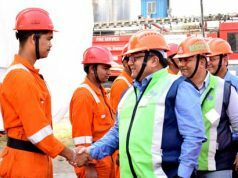 The three-day festival, which celebrates and seeks to promote this rich heritage, was inaugurated by celebrated poet laureate Mr Jayanta Mahapatra, along with Mr Anand Sen, President TQM and Steel Business, Tata Steel and Mr Soumya Ranjan Patnaik, Founder and Editor of Sambad. Mr Mahapatra, the feted poet and proponent of Odia Literature who is also the first Indian English poet to receive the Sahitya Akademi Award, spoke about how poetry lets him understand reality. He also talked about how literature is becoming more accessible in the digital age. He encouraged budding authors to draw inspiration from the adversities they face and use the technology now available to them to their advantage to express creativity and imagination. The inaugural session of the festival, being held at the Xavier Institute of Management, saw celebrated historian Sugata Bose discuss Mahatma Gandhi’s relationship with Netaji Subhas Chandra Bose. This was followed by a session with legendary actress Waheeda Rehman who mesmerised the audience as she reminisced on her portrayal of iconic literary characters on screen. The eventful day concluded on a lighter note with a stand-up performance by acclaimed comedian Abijit Ganguly. The talented performer regaled the packed XIMB Auditorium with his observation-based anecdotes. “It is wonderful to see the support the Tata Steel Bhubaneswar Literary Meet has received from the people of Odisha. It is their enthusiasm and love for literature, creative pursuits and debate that motivates and encourages us to make future events even bigger and better,” said Tata Steel’s Mr Sen. “The Literary Meet is in alignment with Tata Steel’s corporate philosophy of encouraging and supporting initiatives that aim to foster intellectual and cultural pursuits in society. 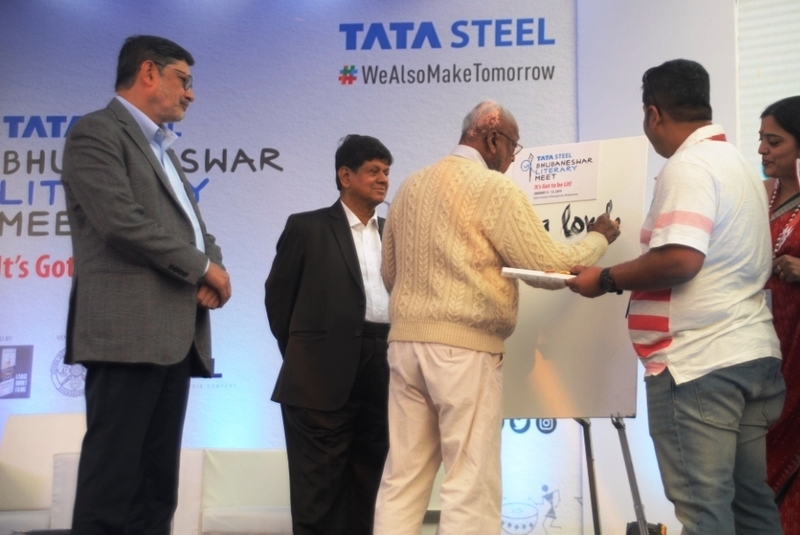 It has been a privilege for Tata Steel to be able to bring stalwarts from literary and creative fields to Bhubaneswar and I am certain that this edition will once again ensure memorable experiences,” he added. Participants at this year’s Literary Meet include legendary writer Ruskin Bond and acclaimed singer Rekha Bhardwaj. Other speakers of note are Ravinder Singh, Vineet Bajpai, Aatish Taseer, Jayant Kripalani, Bikram Grewal, Nicholas James, Nabina Das, Sucheta Mishra, Ileana Citaristi, Mitra Phukan, Kishwar Desai, Charles Assisi, NS Ramnath, Prajwal Parajuly, Debashish Panigrahi, Hussain Haidry, Pritish Acharya, Dash Benhur and Ananta Mahapatra, among others. The festival also offers a platform to pay homage to the best of Odia literature. 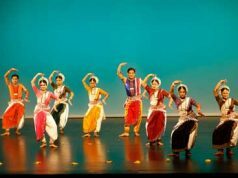 Odia sessions to discuss Gandhi in Odisha, the legacy of Fakir Mohan Senapati a century after his demise, ‘Becoming Odia’, among other issues, will feature prominently in the festival.